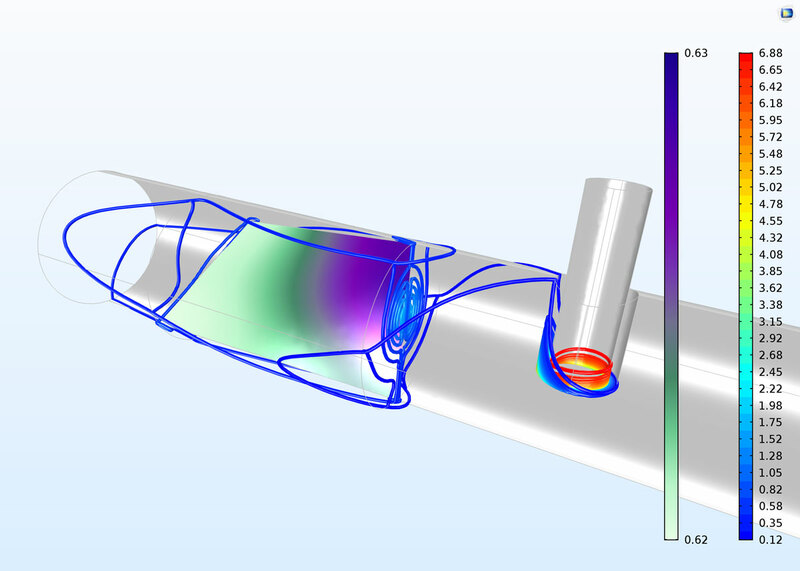 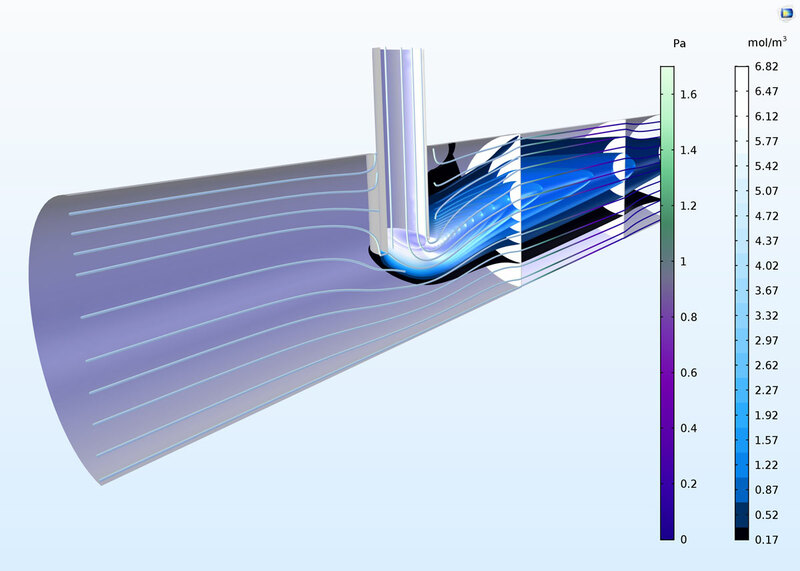 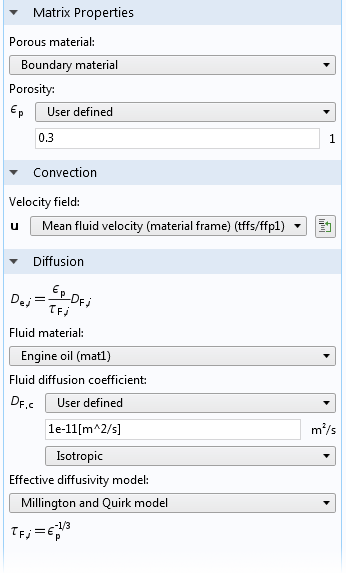 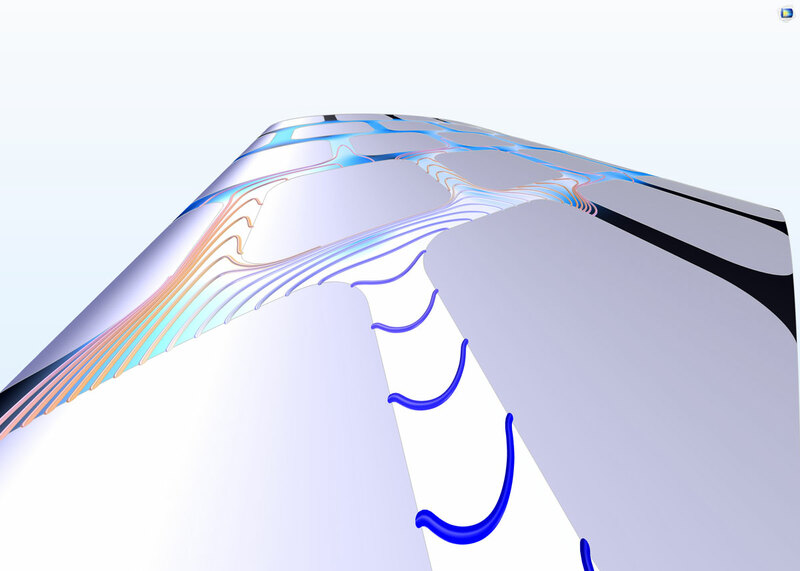 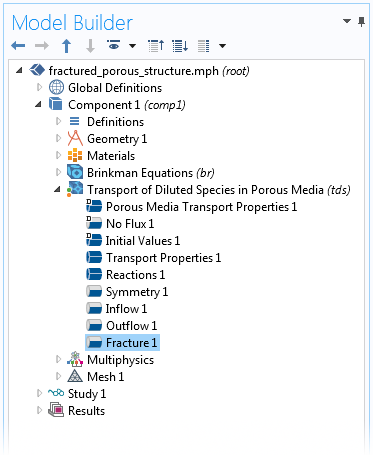 For users of the Batteries & Fuel Cells Module, COMSOL Multiphysics® version 5.3 includes a new boundary condition for charge-discharge cycling, new boundary conditions for modeling thin layers, as well as new physics interfaces for modeling reacting flow in porous media and chemical species transport in fractures. 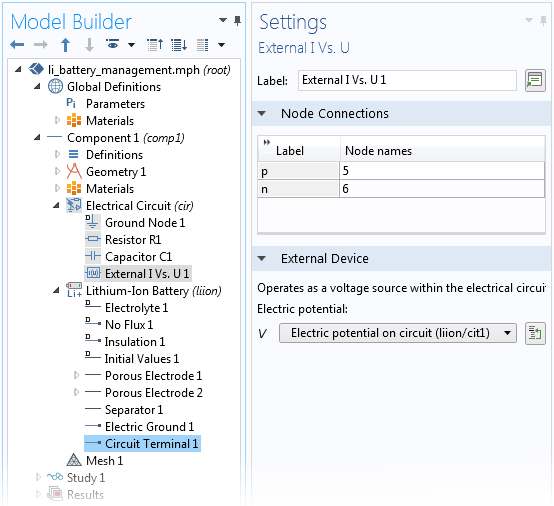 Browse all of the Batteries & Fuel Cells Module updates in more detail below. 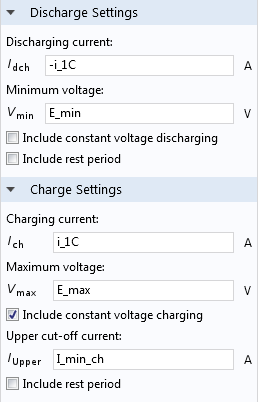 You may use the Charge Discharge Cycling boundary condition to specify load cycling in time-dependent simulations, where the switch between charge and discharge depends on the resulting cell voltage (or current). 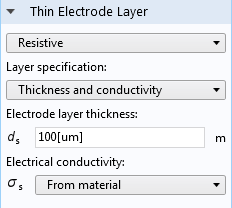 This feature may, for instance, be used for constant-current/constant-voltage (CCCV) cycling in battery simulations. 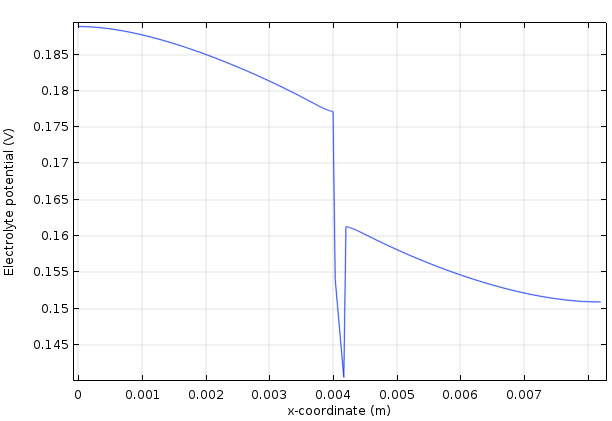 Charge-discharge cycling is now also available as a boundary condition in the Electrode Surface node and as an operation mode in the Single Particle Battery interface. 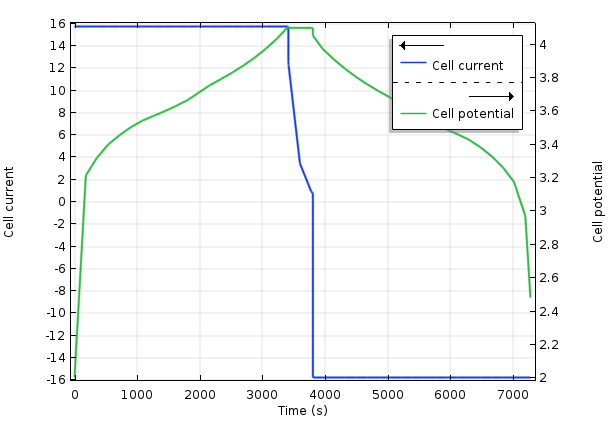 Current and potential during a charge-discharge (constant current-constant voltage) cycle of a lithium-ion battery. 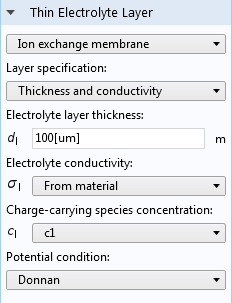 From the Batteries & Fuel Cells Module Application Library.